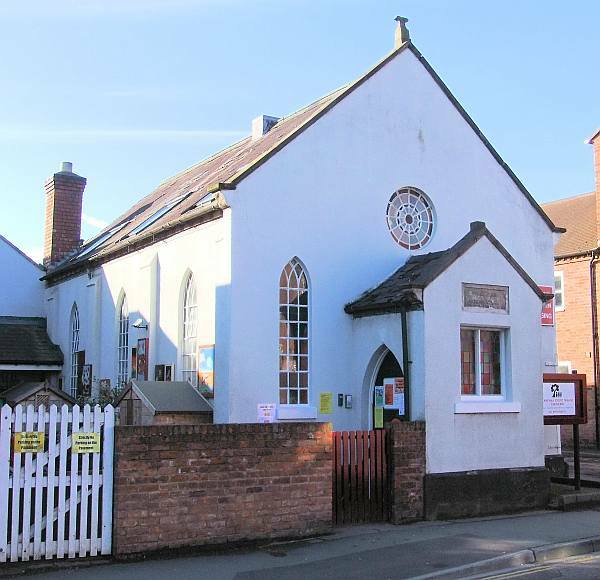 This small congregation began meeting in 1846 in a room in New Street, which had seating for about 140 worshippers. In 1851 they had an average 45 worshippers at their afternoon service and 20 at their evening one. They also had an average 75 Sunday scholars in the afternoon. The rent on this room was paid by Thomas Brocas, and after his death, by his widow. When she died it was decided to erect a purpose-built chapel. The foundation stone was laid on the 7th June 1870, and in a bottle placed underneath it were copies of local newspapers, Methodist publications and coins. The chapel opened on the 23rd October of that year. An extension has been built at the back in more recent times. The building is now (2018) used as a nursery school.